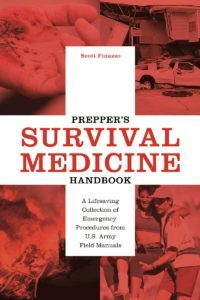 On The 7 P’s of Survival we have Scott Finazzo and we talk about his second book “Prepper’s Survival Medicine Handbook. A Lifesaving Collection Of Emergency Procedures From U.S. Army Field Manuals”. 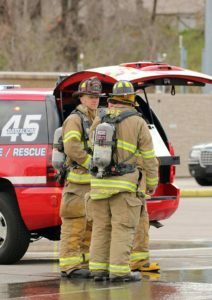 Scott is a fellow firefighter of nearly 20 years, currently a Lieutenant with the Overland Park Fire Department (Kansas). We also share we both come from a fire/ems/rescue/Law enforcement, homeland security background. The similarities don’t end there. We both hold multiple business degrees, so expect a lot of back and forth and knowledge sharing. We are both “SME’s” for this topic of discussion. Scott is the Co-Author of “The Prepper’s Workbook” and author of “The Neighborhood Emergency Response Handbook.” His next book (which I’m sure we will talk about in the near future!) “Prepper’s Guide to Knots” will be published this fall. When Disaster strikes and no doctors are available you will have to rely on your own medical knowledge to survive. 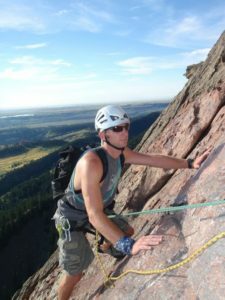 “Prepper’s Survival Medicine Handbook” strives to help you achieve. This book goes beyond basic first aid and teaches military-tested and combat proven methods. A guide for treating life-threatening medical conditions, including gunshot wounds, burns, radiation exposure, broken bones, ruptured arteries, severed limbs, snakebites, shock and more. The book essentially tells you how to treat everything from hypothermia and heat stroke to seizures and cardiac emergencies. As always we dig into this book with the author chapter by chapter highlighting items within those chapters I believe are essential to talk about. This is supplemented with some of our own personal stories from the field and plenty of banter back and forth as we come from differing medical backgrounds. It’s a fun show and I always love having a fellow first responder on the show. Listen to this broadcast or download “When Help Is NOT On The Way” in player below! Previous: Previous post: Situational Awareness! Next: Next post: SIMPLE, AMERICAN, THOUGHT!